National Park Service Issues Permit For DC Nazi Rally - Joe.My.God. On the eve of the anniversary of Charlottesville’s deadly Unite the Right Rally, the National Park Service has approved a permit for a rally from the same group this weekend in Washington, D.C. NBC29 reported Thursday that Jason Kessler’s permit was given the OK for the rally on Sunday in Lafayette Park. A second permit for a counter-protest was also issued. The approval comes just one day after a state of emergency was declared ahead of the anniversary of last year’s rally. 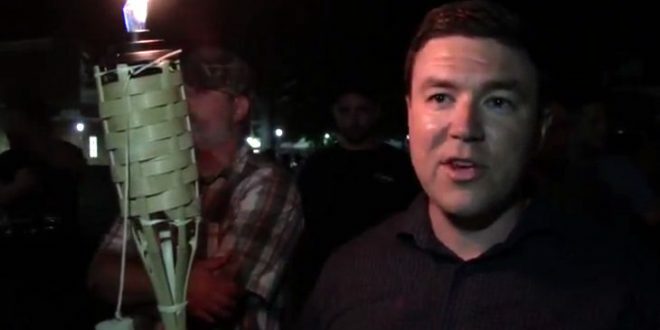 BREAKING: Jason Kessler’s permit for the Unite the Right Rally in D.C. has been approved for Aug. 12 at Lafayette Park. A second permit for a counter-protest was also issued today (via @NatlParkService).